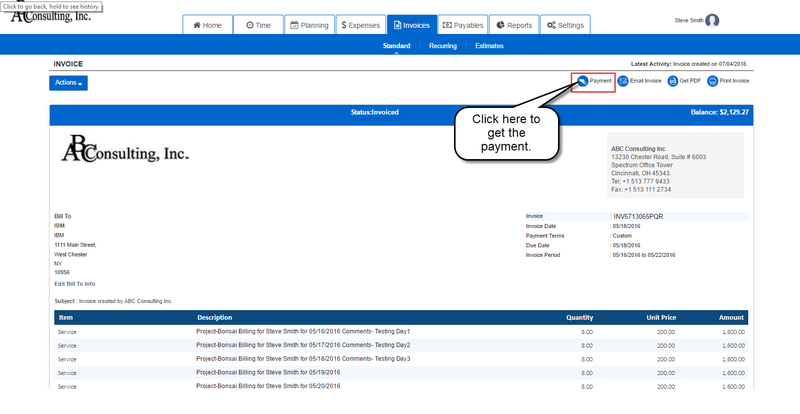 Once the payment is received from the customer, the Project Manager needs to manually update the details in the Invoice tab in order to keep track of all received and pending invoices. The Admin can also perform the same task. 3] Click on the Invoice Number of the particular invoice whose Payment Status you want to update. 4] Click on the Payment option. 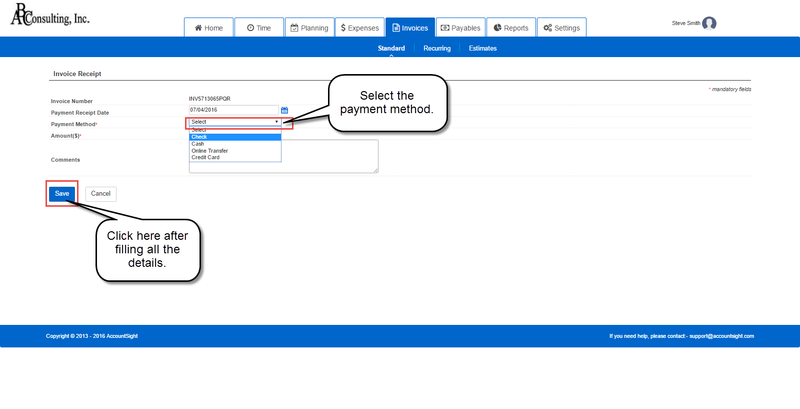 5] Select the Payment Method as Cash or Check to indicate the type of payment received.